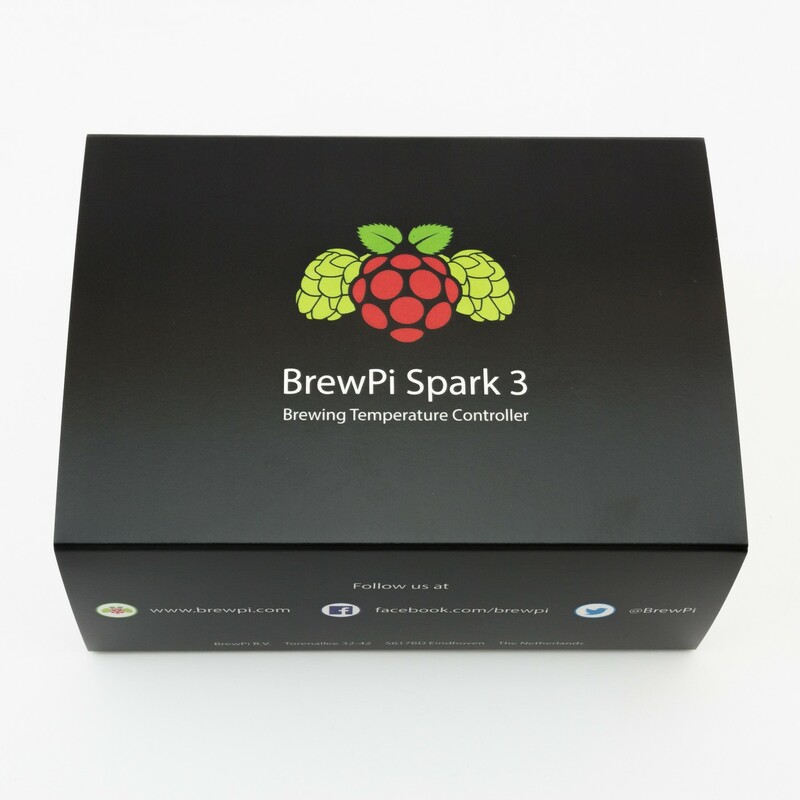 The BrewPi Spark 3 is the next iteration of our brewing temperature controller. 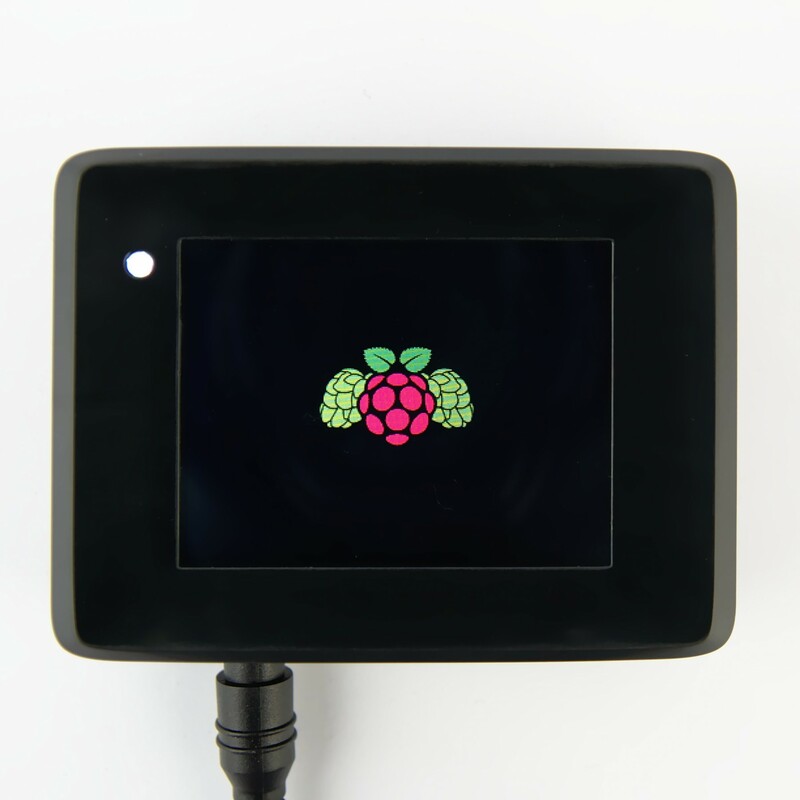 It will keep your beer temperature within 0.1 degrees of the setpoint and send your brewing data to a webserver in your own house via WiFi or USB. No sensors are included with the controller. 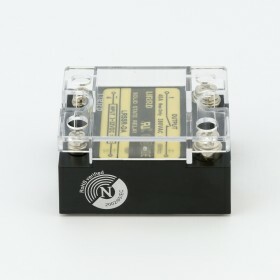 We sell many types of sensors and solid state relays separately, so you can adapt your order to what YOUR brewery needs. We like to keep it modular and flexible. 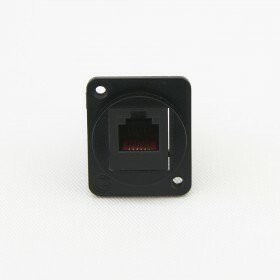 You'll probably want 10A SSRs, wall mounted sensors for your fermentor, simpler sensors for your fridge and some cabling. 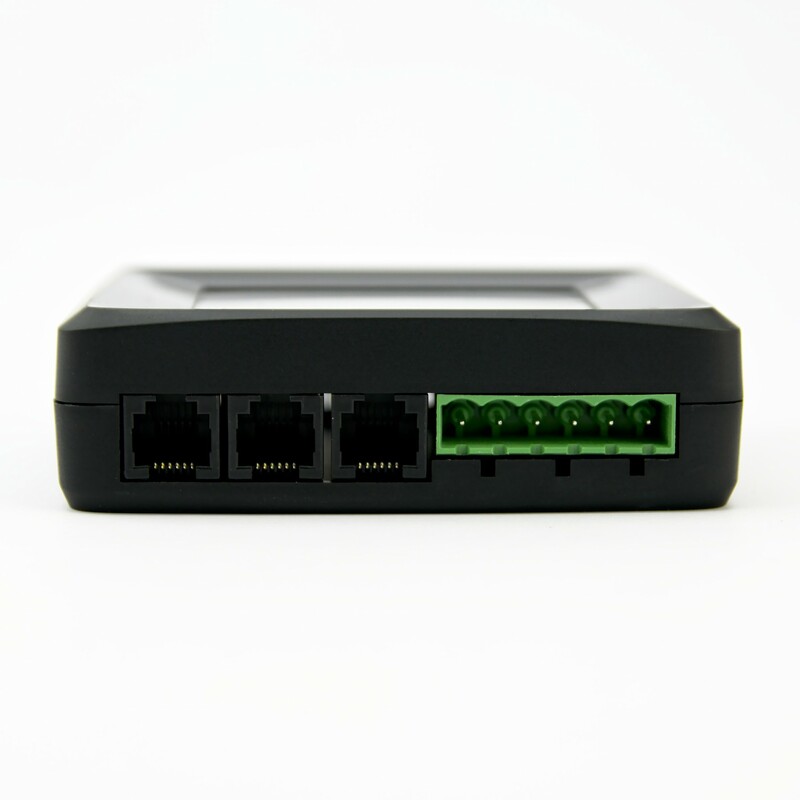 Then you'll probably want bigger SSRs or even 3-phase SSRs and also wall mounted sensors and threaded sensors. See, that's why we keep it flexible and modular! 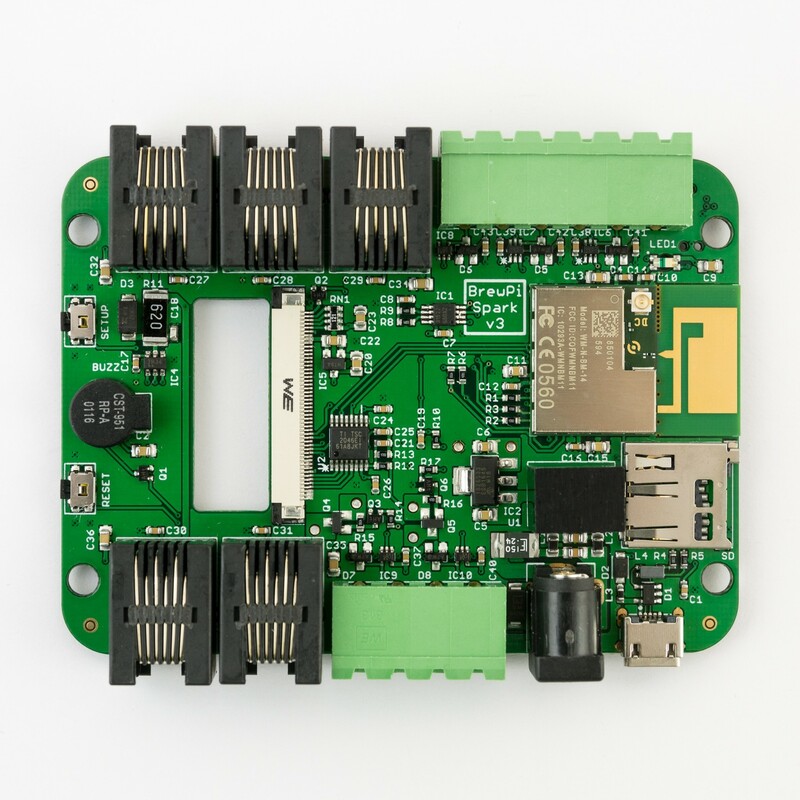 The BrewPi Spark 3 has 5 RJ12 ports for sensors and expansion boards. 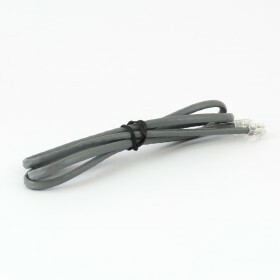 The Spark is only compatible with DS18B20 OneWire sensors. 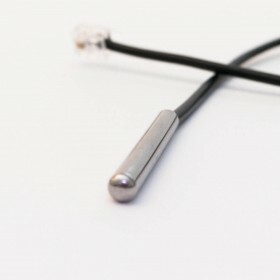 It is not compatible with thermocouples and RTDs like a PT-100. 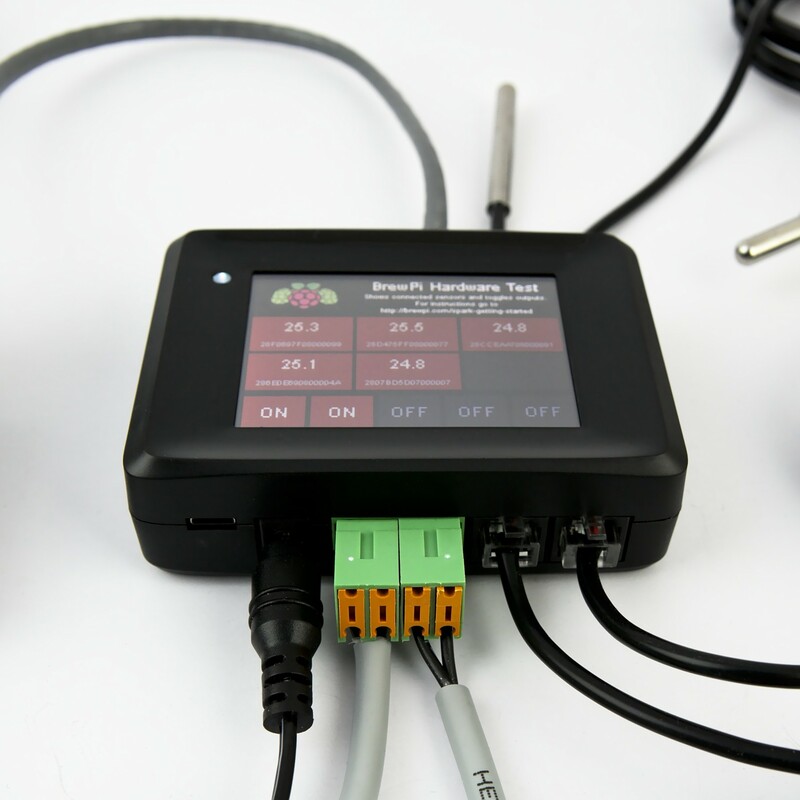 The BrewPi Spark 3 has 5 digital outputs for actuators, which it drives with a fully customizable PWM signal. You can set the switching period, minimum ON time, minimum OFF time and a minimum time for switching between heating and cooling. This ensures safe operation for fridge compressors and will prevent short cycling. 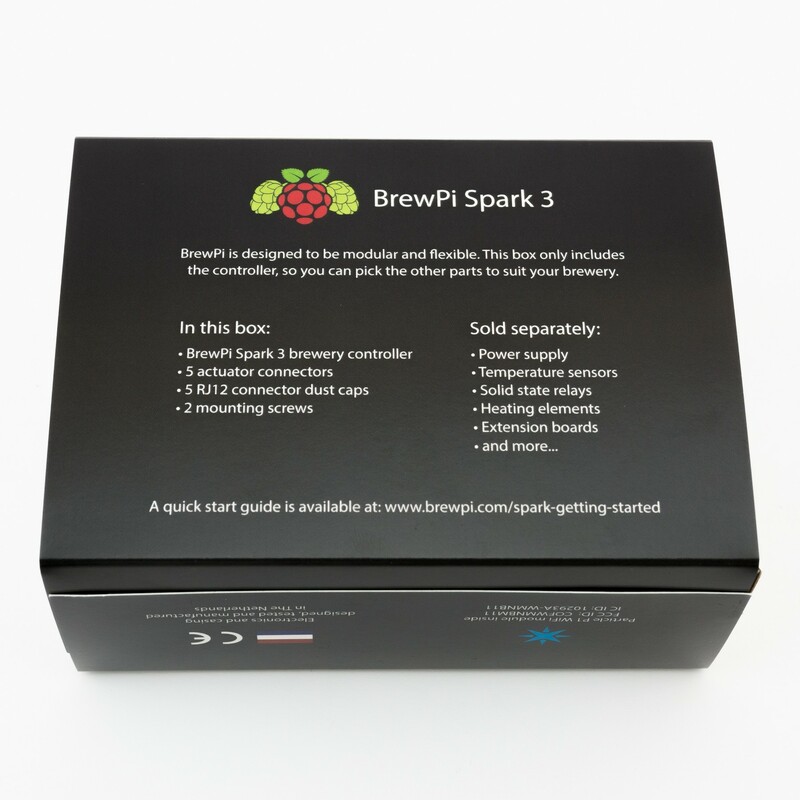 You can power the BrewPi Spark via USB or via the 12V input. 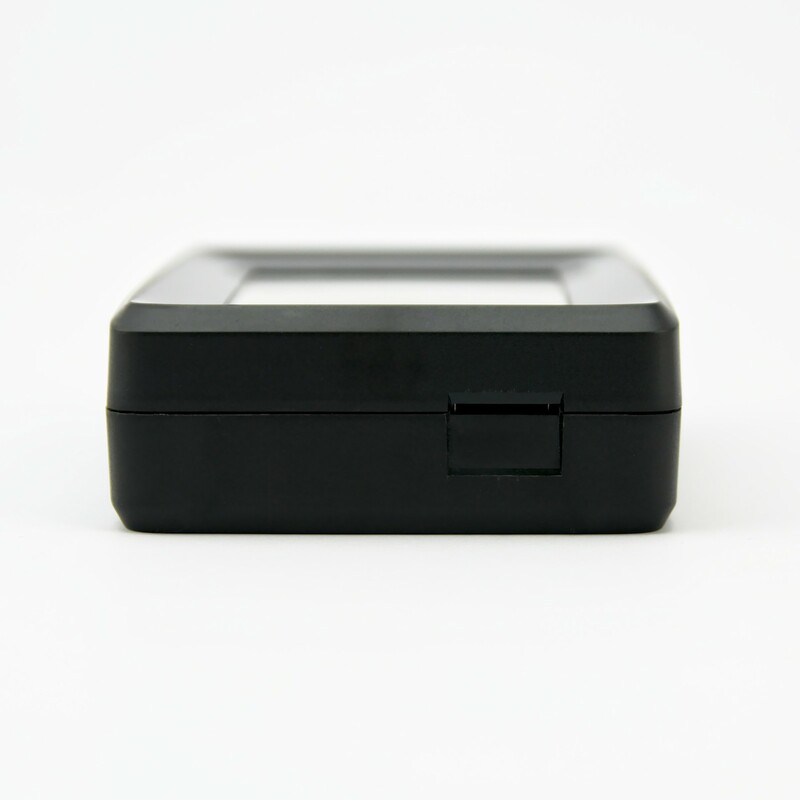 A power supply is not included, but available from the store. 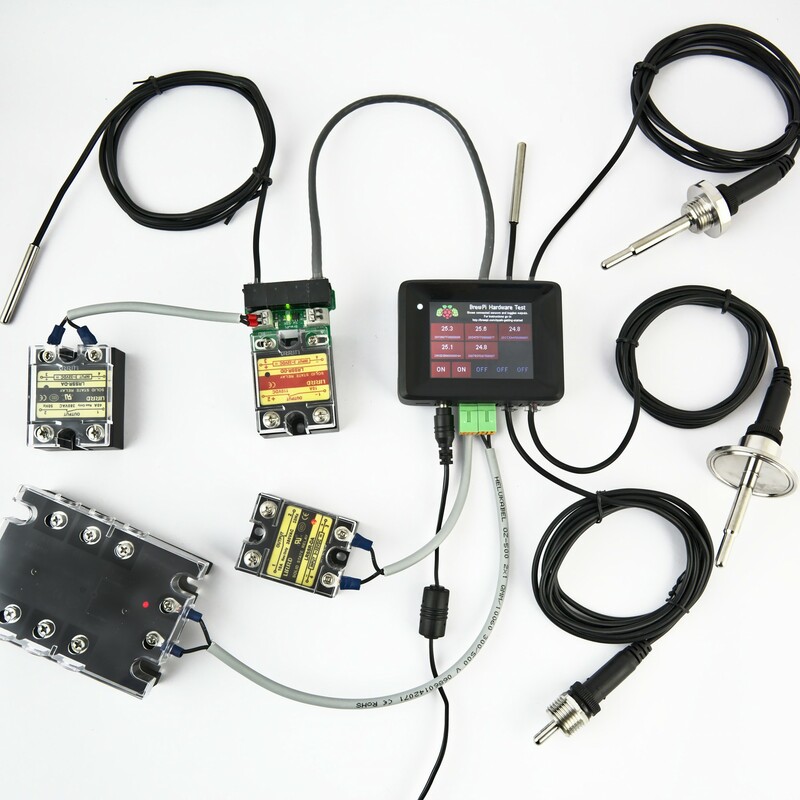 Powering via the 12V input is only needed if you want to use our motorized ball valve control expansion board. For this new model, we have 2 actuator outputs, 2 sensor inputs and power inputs all on the bottom, so you can have all your cables exit on the bottom for a neat cable layout. 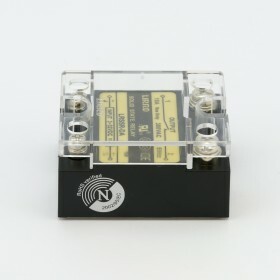 On the top, there are 3 sensor inputs and 3 outputs. Dust caps are included. 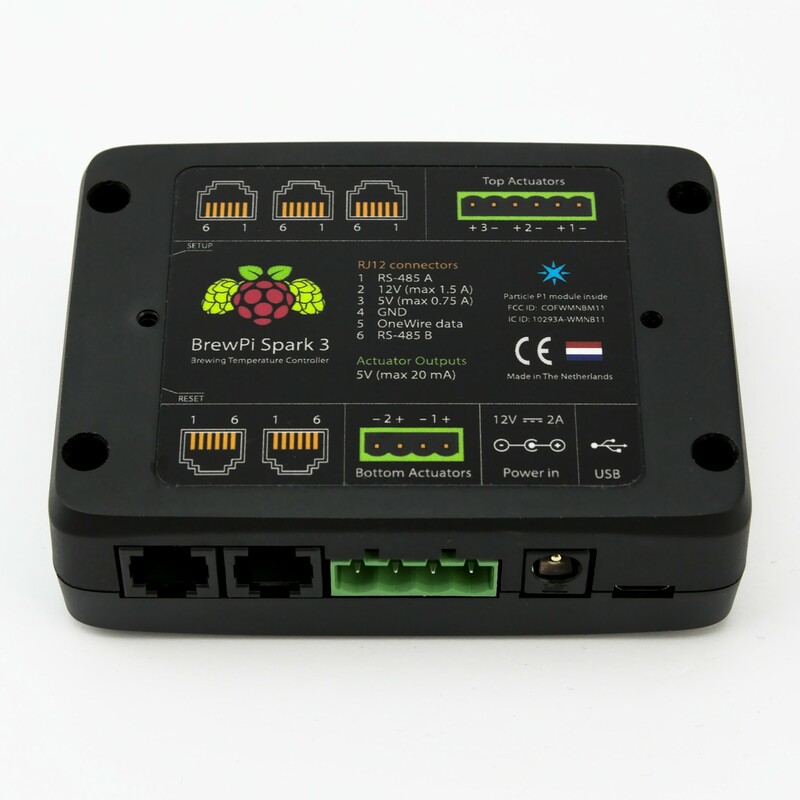 The BrewPi Spark is built with high quality components and it is made in the Netherlands. 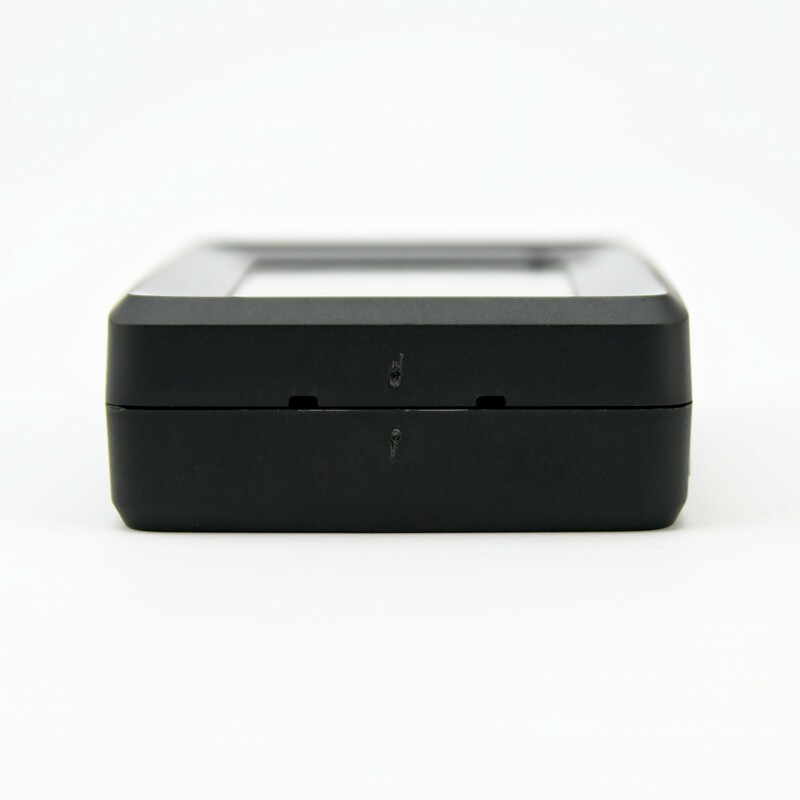 It has been CE-tested and and every device is functionally tested before it is shipped.